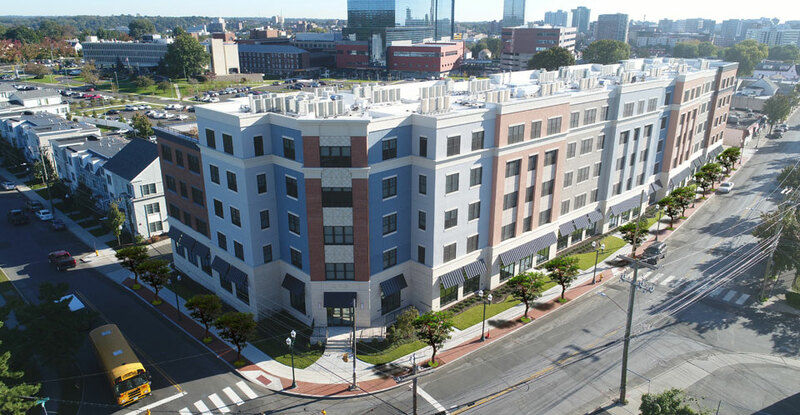 We are pleased to announce that the apartments within the Park 215 mixed use building we designed for Charter Oak Communities in Stamford, CT have been ENERGY STAR certified as part of the ENERGY STAR Multifamily High-Rise program administered by the United States Environmental Protection Agency. The units earned this distinction through their energy efficient design and construction. The City of New Haven has embarked on a 30-year plan to unlock the potential of the gateway district between downtown New Haven and the Hill neighborhood. As the first major step in redevelopment, a team led by development firm RMS Companies was sought to create a mixed-use building on four underutilized plots adjacent to Amistad Park. 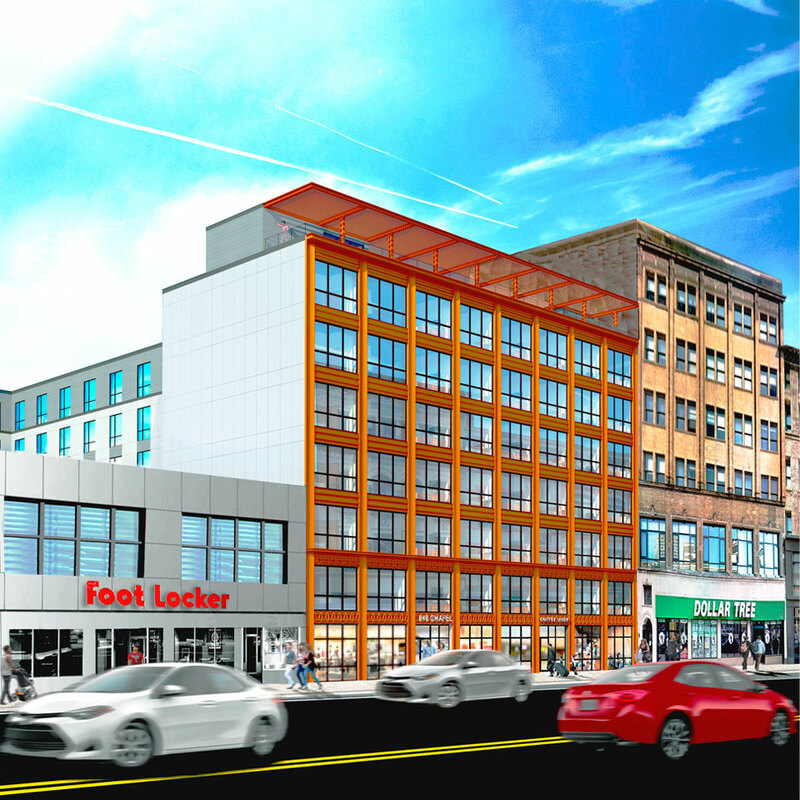 RMS selected Kenneth Boroson Architects to design a 4-story building on the site which formerly held the Prince Annex School and surface parking lots. Located a short distance from the New Haven Green, Mid Block Development’s new project at 842-848 Chapel Street recently earned site plan approval from the City Plan Commission. Our office has designed this new mixed use and multi-family building to feature 120 apartments, two levels of internal parking, resident amenity spaces, and commercial shell space. The new seven story building has frontage on both Chapel and Center Streets in downtown New Haven. 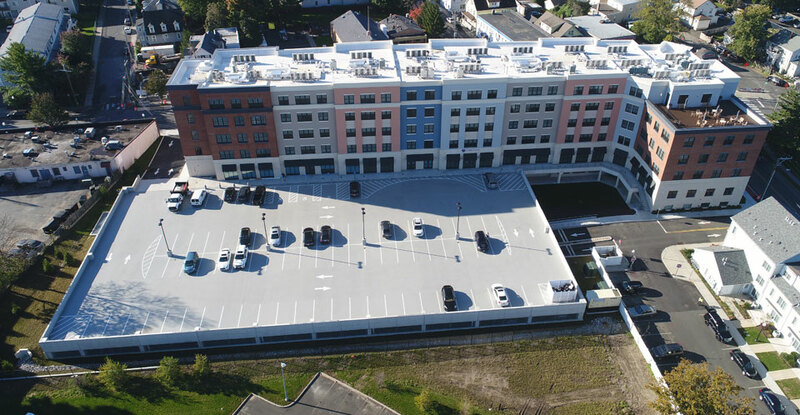 Construction was recently completed on Rippowam Corporation’s new Park 215 mixed use and mixed income development in Stamford, CT that our office designed. Viking Construction completed the work on this multi-family housing and commercial building in 21 months. There has been high demand for the apartments and residents started moving in at the end of August. More than half of the commercial space has been leased and these medical care providers are now open for business as well. This project provides a prominent cornerstone for the Vita Health and Wellness District and completes the multi-phase Vidal Court revitalization initiative. In the fall of 2017, Kenneth Boroson Architects was retained by RMS Companies to design two mid-rise apartment buildings as a part of the City of New Haven’s Hill-to-Down Community Plan. Expected to be completed in late 2019, the two new multifamily residential developments will be a significant step forward in the city’s mission to transform the underused stretch between the Hill neighborhood and Downtown New Haven. 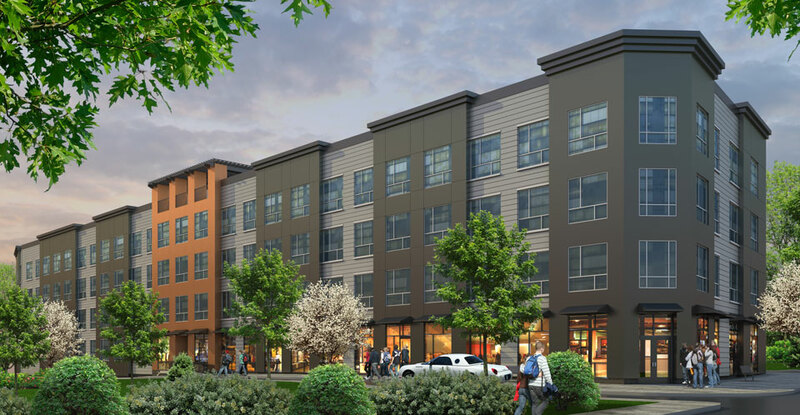 Rockview 2, which will consist of 78 new townhouse style residential units, has just been approved to move forward by the New Haven City Plan Commission. 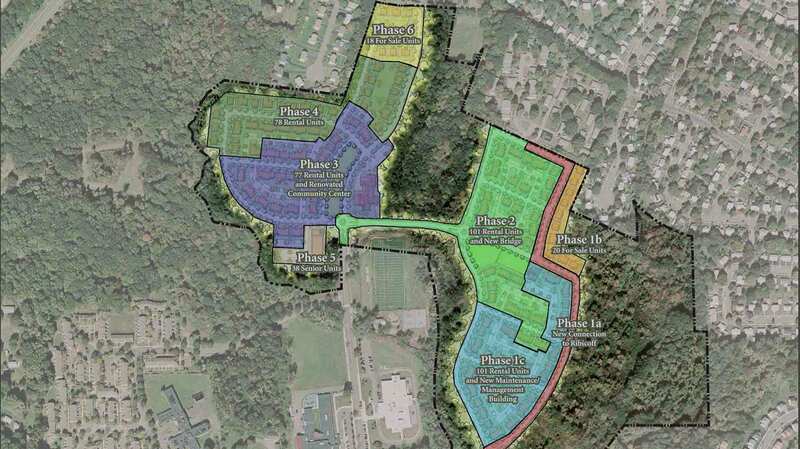 The commissioners unanimously approved the site plan and inland wetland application. Rockview 2 is the fourth phase of the West Rock project which encompasses two complete neighborhoods (Brookside and Rockview). The project is split into six phases. The former development consisted of 1940’s brick “barracks-style” buildings and was demolished due to its state of disrepair and the presence of mold and other environmental hazards. Bookmark this page or subscribe to our blog to see the latest projects we're working on.